V-CUBE™ color categorization now offers 7-layered, two-colored cubes made with quality colored plastic pieces rather than colored stickers! 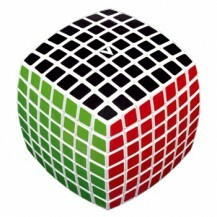 These cubes will offer you a more intensified challenge and increase your cube building skills. Furthermore, some designs represent flags of various locations of the world. There are many benefits of owning a two or three-colored 7-layered cube. You may want to own a symbol of your nationality, heritage, or a place that means something to you, while you are still able to use it for the challenge of skill building, or achieving the goal of solving it and may also want to keep it as an attractive home or office décor. 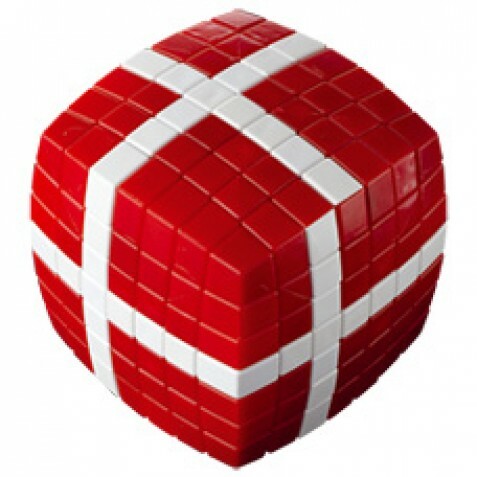 Bring out the cuber in you by owning these unique and challenging cubes today! V-CUBE 7 "Denmark" has an edge length of 72 mm and weights 315 grams.